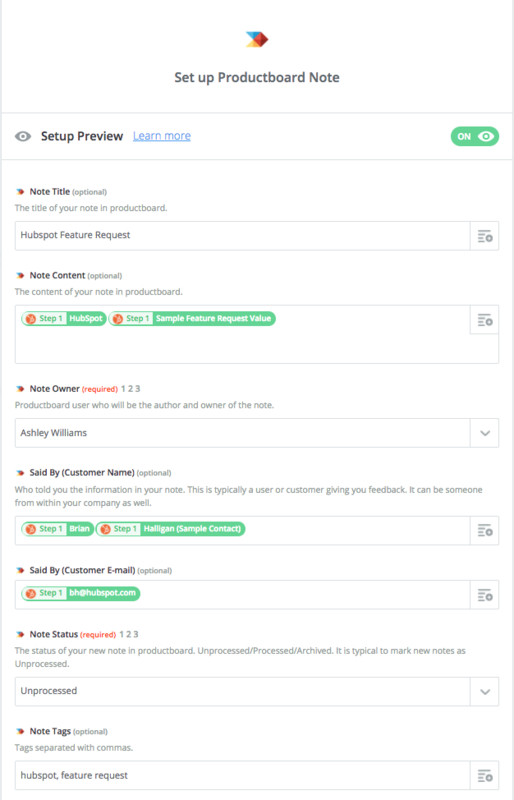 If your sales and marketing teams use HubSpot CRM but need to send feedback from demos and contracts to the product team, zap it to productboard using Zapier! 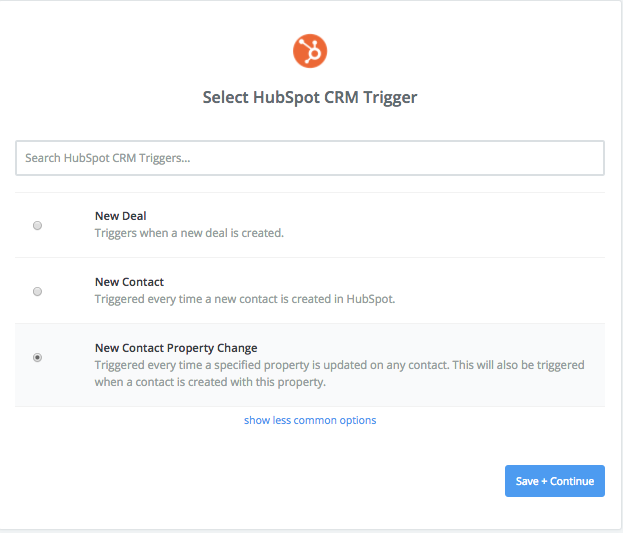 The basic idea behind this zap is to create a custom text field ("property") for each Hubspot CRM contact where your colleagues can keep track of their unmet needs or feature requests. The field will be sent into productboard as a new note and will automatically kept up-to-date. Under Contacts, click Customize > Edit properties. 2. In Property settings, create a custom property. If you name the property something like "Feature requests", sales will know to log requests here. 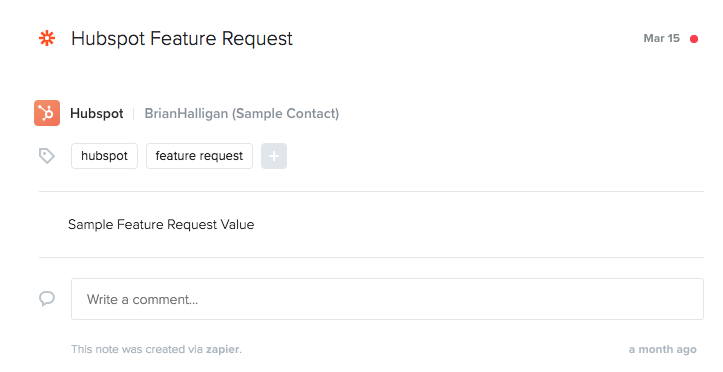 Once colleagues make an addition to the field associated with the Feature requests property, that information, along with the contact's name and email, will zap into productboard as a new note in the Inbox! In Zapier, set the trigger to New Contact Property Change. There are plenty of properties already available in HubSpot CRM, but creating a new custom property allows you to reserve it for requests to be sent to productboard! Give it a try and shoot your feedback to us via Intercom!